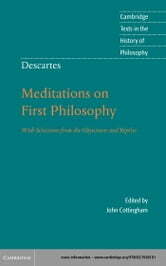 The Meditations, one of the key texts of Western philosophy, is the most widely studied of all Descartes' writings. This authoritative translation by John Cottingham, taken from the much acclaimed three-volume Cambridge edition of the Philosophical Writings of Descartes, is based upon the best available texts and presents Descartes' central metaphysical writings in clear, readable modern English. As well as the complete text of the Meditations, the reader will find a thematic abridgement of the Objections and Replies (which were originally published with the Meditations) containing Descartes' replies to his critics. These extracts, specially selected for the present volume, indicate the main philosophical difficulties which occurred to Descartes' contemporaries and show how Descartes developed and clarified his arguments in response. 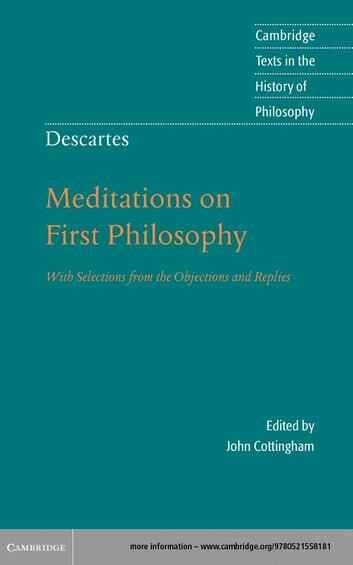 This edition contains a new comprehensive introduction to Descartes' philosophy by John Cottingham and the classic introductory essay on the Meditations by Bernard Williams.